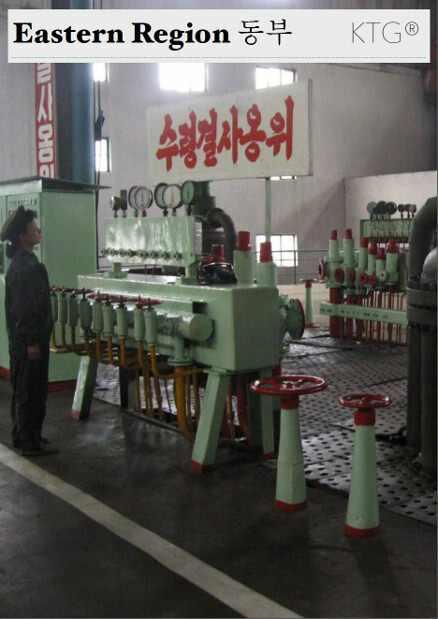 Rajin-Sonbong, aka Rason, is a Special Economic Zone located in the far northeast of the DPRK, bordering Russia and China. It has attracted a lot of foreign investment and used as an experimental area. Before mobile phones were nationally available for instance, they were first tried out here. After a fascinating 30 hour journey from Pyongyang by myself, I finally arrived at Rajin where Mr. Kim, one of our local partners, was there with Mr. Pak, our very friendly driver. 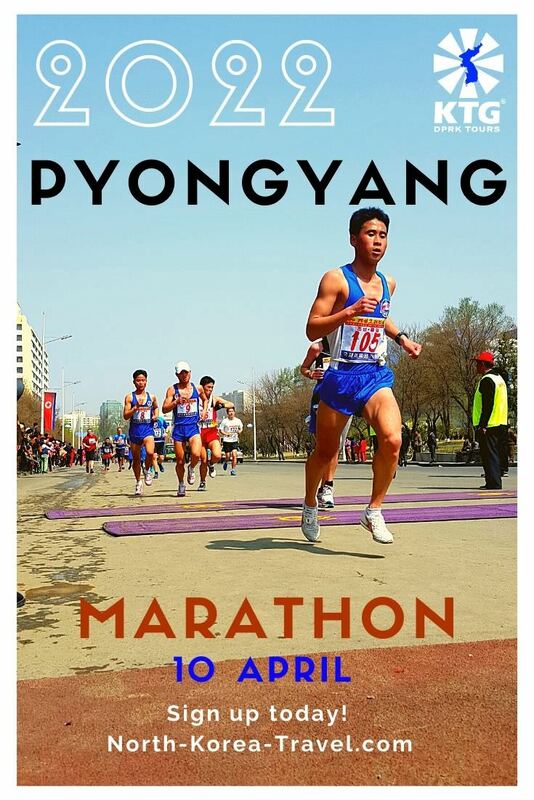 It was around 2pm, well past normal lunch time in North Korea. However, after one and half days of instant noodles, biscuits and other snacks, I could not refuse Mr. Kim’s suggestion of our first stop being the restaurant. After full meal consisting mainly of seafood, which is abundant and very fresh in Rajin, we started our tour. Our first stop - the Golden Triangle Bank. 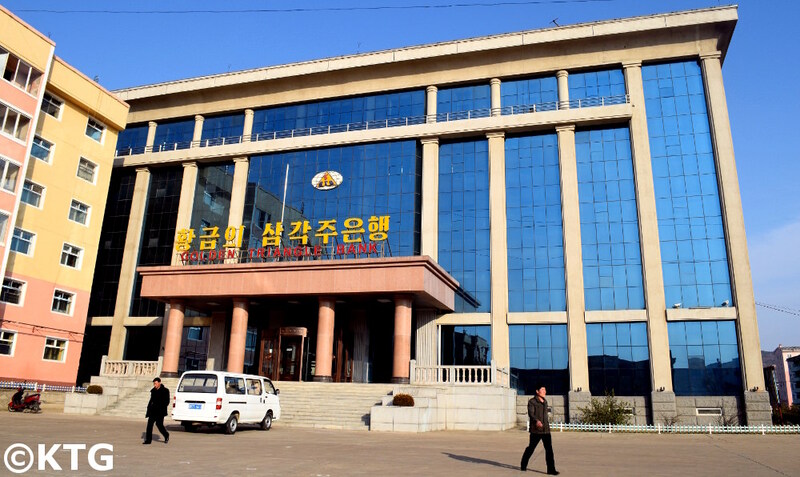 This is the only bank in the DPRK where foreigners can go and exchange foreign currency for Korean Won. 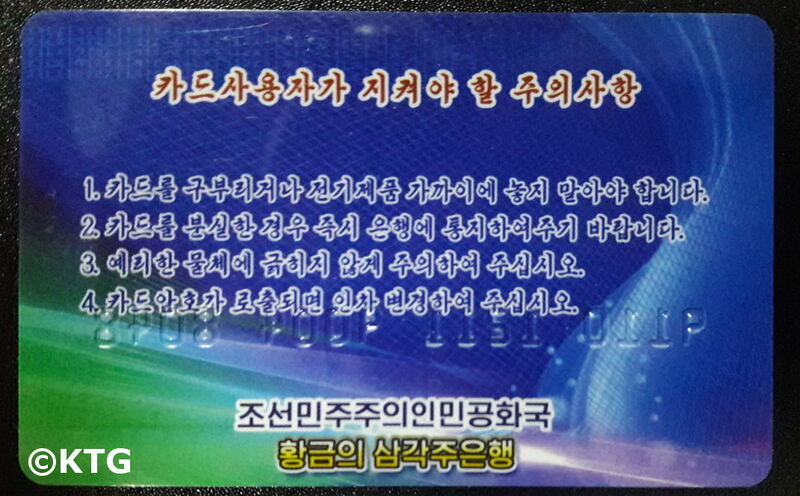 I remember when I first visited Rason several years ago and obtained my first, and only, DPRK bank card. The minimum deposit required was 25 RMB and the bank clerk was quite concerned that I entered my card PIN as “1234”! 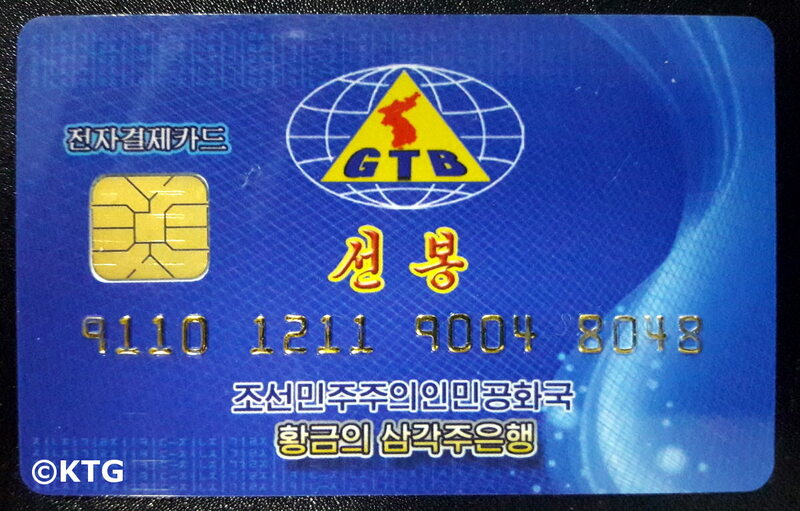 It does feel a little surreal walking around a bank in North Korea. 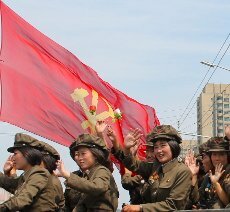 “DPRK” and “bank” aren’t two words seen frequently in the same sentence. 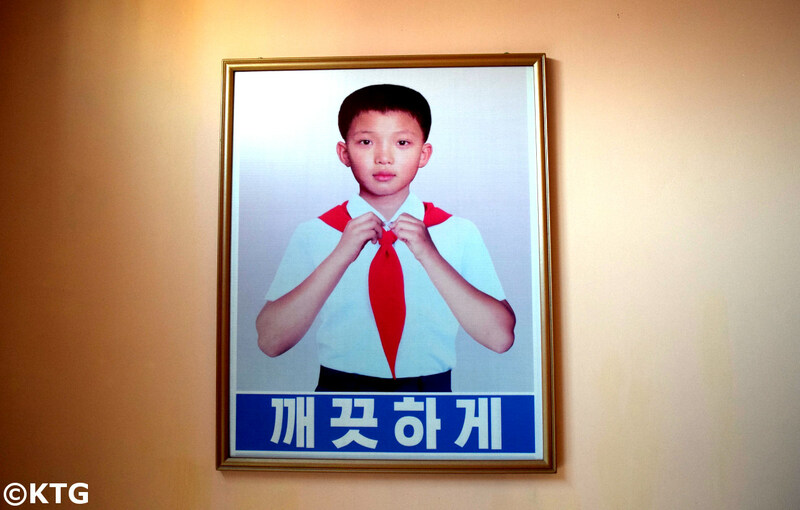 If it weren’t for the images of the leaders and the DPRK propaganda posters on the wall inside you wouldn’t guess that you were in North Korea. They have been renovated or built from scratch in the past year or two. We will, however, run projects with some of them, as in some areas they require some goods that can make conditions more comfortable for kids such as dehumidifiers and air-conditioning. The orphanage in Rajin offers excellent conditions for the kids; computer room, science lab, music room, indoor sports stadium, etc. 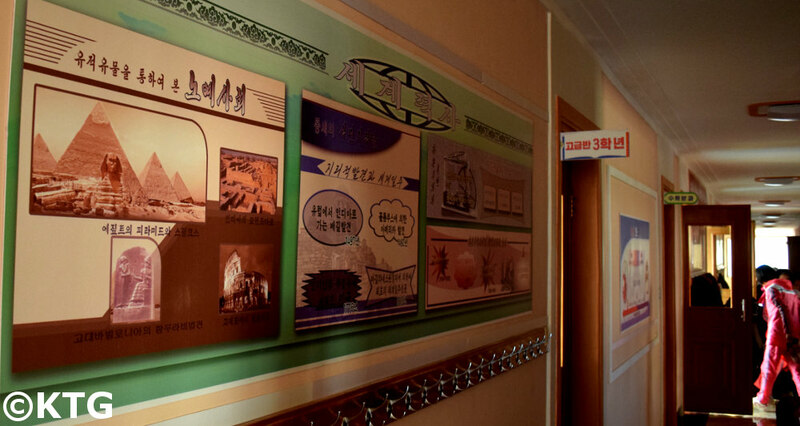 Corridors are filled with information related to science, English, mathematics, even traffic regulations. 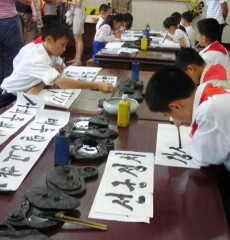 This material is then updated every several weeks in order to allow the children to keep learning new material when out of class. 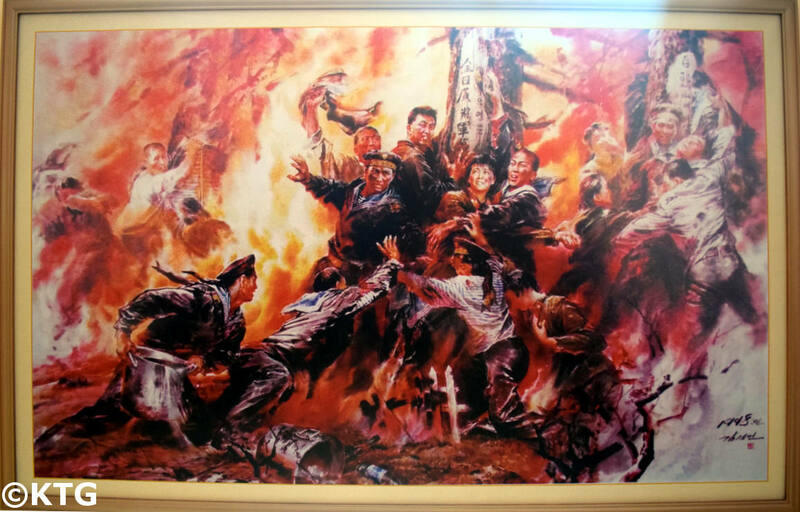 The corridors do have too several propaganda paintings, which, as visitors, remind us of how different the DPRK can be to other countries. 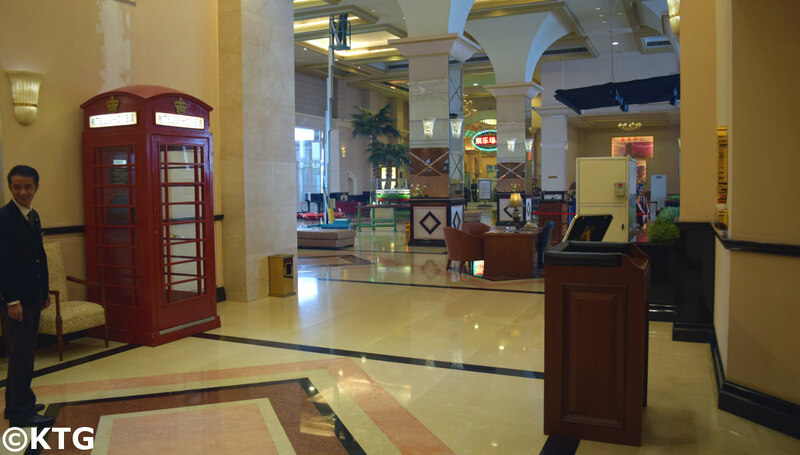 We then headed for a coffee break at the Najin Hotel. 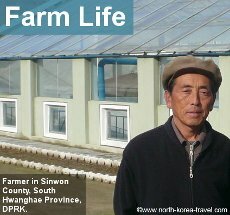 Ground coffee in the DPRK is expensive. 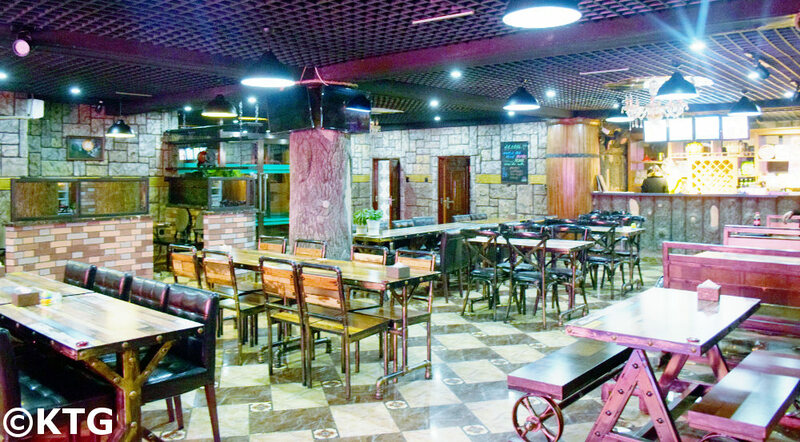 The number of coffee shops in Pyongyang has been on the rise. This is still not the case in Rason. 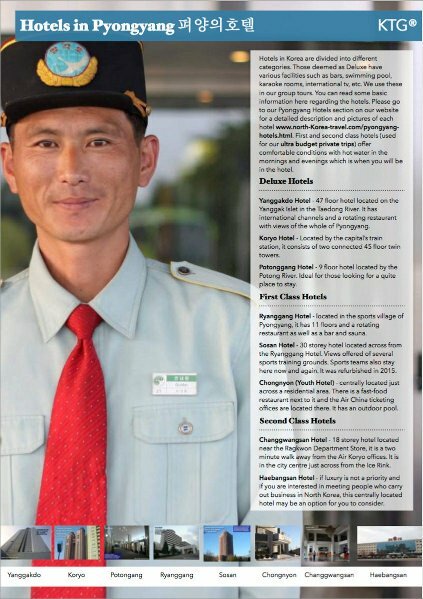 “We Koreans are not used to its taste” Mr. Kim would tell me. At around 3 Euros or 25 RMB a cup, this was actually a bit cheaper than in other places in North Korea where a cup of coffee can go up to 30 RMB (around 4 Euros). Next stop was Haesan Park. It was getting dark and Mr. Kim, with a grin on his face, tells me that this place is popular with couples at night. Maybe not so much on this chilly winter night. The park stretches all the way to the beach and has a waterpark as well as a Czech beer bar. “This place is packed in the summer” Mr. Kim said. “Now that it is cold the price of beer has gone now. A draft beer is around 10 RMB now, and at least 15 RMB in the summer!” Sounds good and tastes even better. After dinner we went to one of the local massage parlours where you can have full body one hour massage for 100 RMB, which, after 5 busy days in Pyongyang plus a 30 hour train ride from the capital to Rason, was much appreciated!